A new Thai fusion restaurant has opened at Roda Al Bustan, promising to take guests on a “culinary adventure to Thailand”, offering an unforgettable sensory and dining experience like no other. 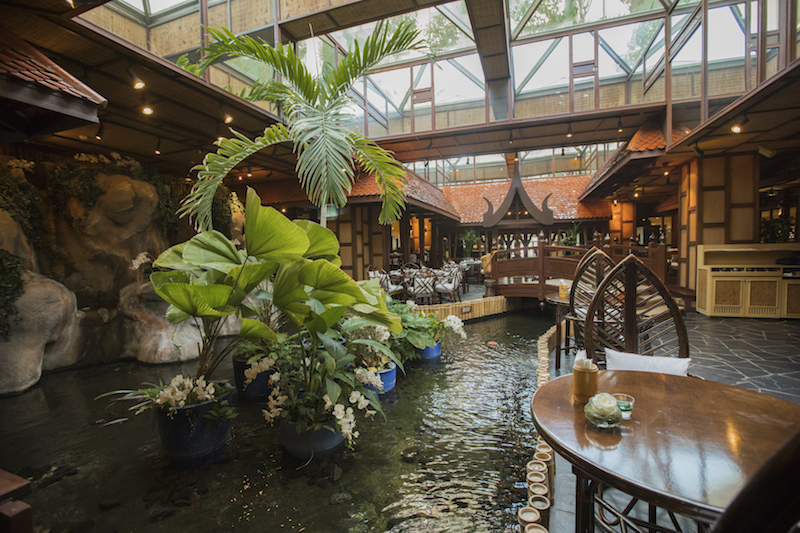 Guests visiting Bambooda will be greeted by vibrant and welcoming staff as they enter the Thai village-themed restaurant, before dining amongst lush greenery and colourful blooms, with tables perched alongside a babbling stream filled with koi fish. Combining a unique blend of classical Thai cuisine using the most traditional ingredients and innovative cooking techniques and presentation, the extensive menu that will leave guests spoilt for choice. Tantalise your taste buds with starters such as vegetable or duck spring rolls, homemade dim sum, Thai king prawns and more, followed by main courses including dishes such as Poo Nim Phad Pong Karee (deep fried soft shell crab, eggs, Thai yellow curry sauce), Kaea Kra-Praow (delicate Australian lamb chop glazed with chilli and garlic sauce, basil leaves and served with stir fried chilli rice), Panaeng Vegetable Curry (classical Thai vegetable red curry sauce with coconut milk and sweet basil leaves), and more. Details: For more information, please call 04 705 660, or email bambooda.albustan@roda-hotels.com.If you enjoyed this article, you may also be interested in reading more about new restaurant openings in Dubai. Next PostNext &RightArrow; Meet and greet Dubai DJ Kris Fade this Friday at DUKESY Family Brunch!